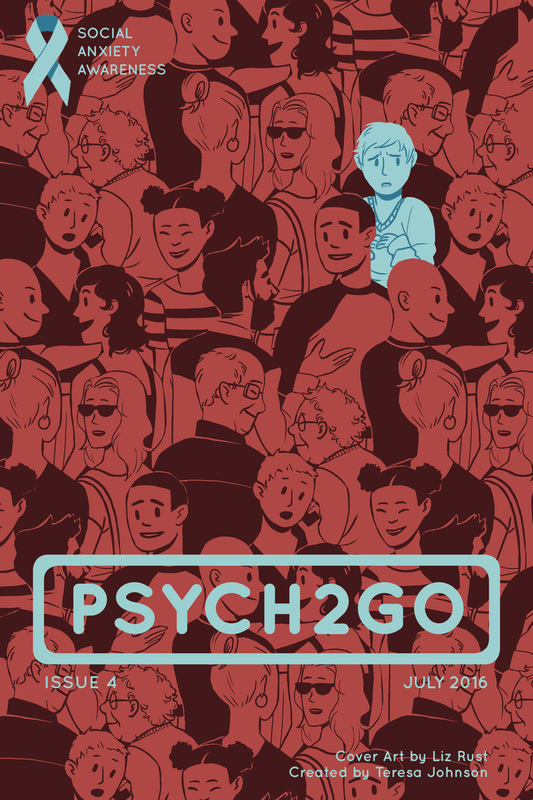 The July 2016 issue of Psych2Go Magazine focuses on social anxiety awareness. The teal-colored subject starkly stands out in a crowd pattern; a visual representation of how an individual who suffers social anxiety often feels. Issues of Psych2Go including this one can be found here. Support a magazine "created by students, for students!"